Are you adding a bathroom to your current home? Are you excited about what this will do for the functionality (and value) of your property? As you begin to move forward, it’s important to consider the many details associated with the project. It doesn’t matter if you’re completing the job on your own or hiring help along the way, you need to make all the right decisions at the right time. 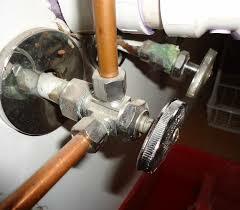 At some point, typically before starting a bathroom addition project, you need to consult with a plumber. This person can review your plans, answer your questions, and help you decide which steps to take next. What is the best layout, in terms of fixtures, of my new space? Can you provide a basic quote on how much it will cost to complete the plumbing portion of the job? What are some of the things to watch out for during the renovation? Do you have any advice on which fixtures would be best for my new space? When is the best time to take on the plumbing portion of the project? So, there you have it. These are some (but not all) of the most important questions to ask a plumber before starting a bathroom addition project.